According to The Knot, December is the most popular time of year for wedding proposals. So just in time for this big engagement month, The Tremont House, A Wyndham Grand® Hotel, has launched its “Marry Me” Engagement Package. The Tremont House will take care of every detail so the future groom can focus on popping the question. The romance begins as the couple checks into one of the hotel’s elegant Belmont Suites and is greeted with a bouquet of roses, a bottle of champagne, and chocolate covered strawberries. 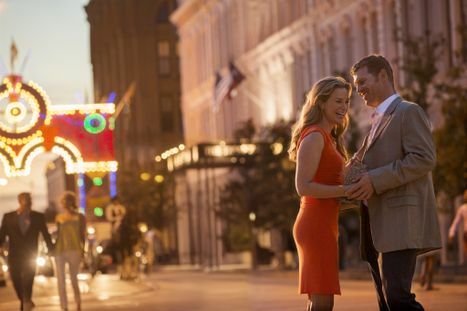 The hotel arranges a 30-minute carriage ride through Galveston’s historic Strand District, followed by dinner at the Galvez Bar and Grill. While both are lovely locations for the question, The Rooftop Bar is a one of a kind option in Galveston. With choices like these the moment is sure to be perfect and the answer yes. The celebration continues with rose petal turndown service, and breakfast in bed the following morning. 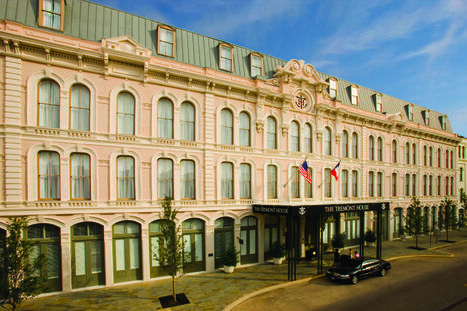 The engagement package can be booked online at www.WyndhamTremontHouse.com (see special offers) or by calling The Tremont House directly at 409-763-0300. The promo code for this package is PKGMARRY. The Tremont House is located in the heart of historic downtown Galveston and is a wonderful example of adaptive use of a historic building. 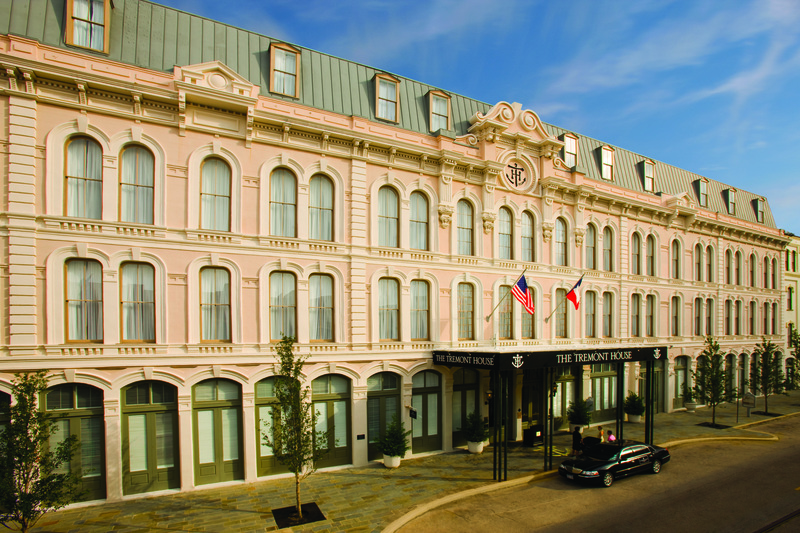 The Tremont House is a romantic, boutique style hotel in the heart of Galveston's historic Strand District. 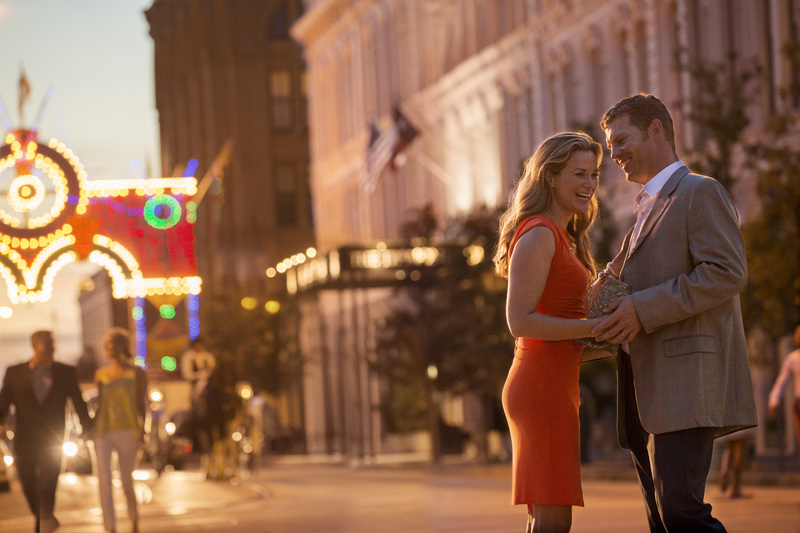 To celebrate romance, the hotel now offers an engagement package. Photo by Terry Vine.